Exquisite aromas fill the air; the silence is soothing, time stands still as your cares ease away into the horizon… On the southern coast of Sri Lanka, spa hotel amenities of the most luxurious kind are yours at Heritance Ahungalla. 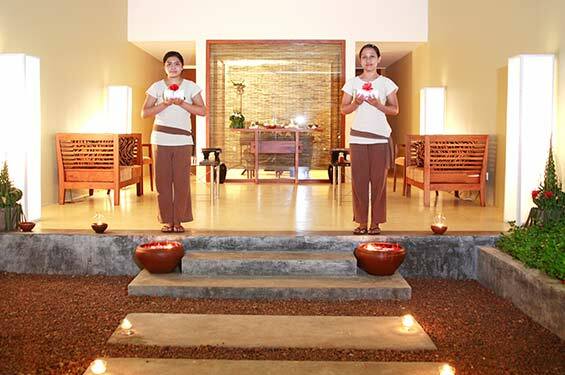 At our Diviyan (Coco) Spa we follow a simple philosophy – to make you feel better and more beautiful. Our professional and expert therapists use only 100% natural products including our own brand of pure massage oils and herbal cosmetics, made locally. Our spa menu is extensive: choose from massage therapies, body treatments, facials and nail care. Or pick from packages combining several treatments. Our treatment rooms include two doubles for couples, a manicure/pedicure room, a steam room and sauna, and an open air Jacuzzi. There are lockers and showers too, of course. We recommend that you book in advance, arrive 10 minutes early and take time to fill in the consultation form. If you are having a massage arrive half an hour early to enjoy a little time in the steam room and sauna – a complimentary part of your treatment. A truly luxurious spa in Galle, at the Diviyan (Coco) Spa you choose your treatment from a wide range of massages to relax and soothe your senses – from traditional Balinese to hot stone massages. Looking for something a bit more than a facial or a massage? 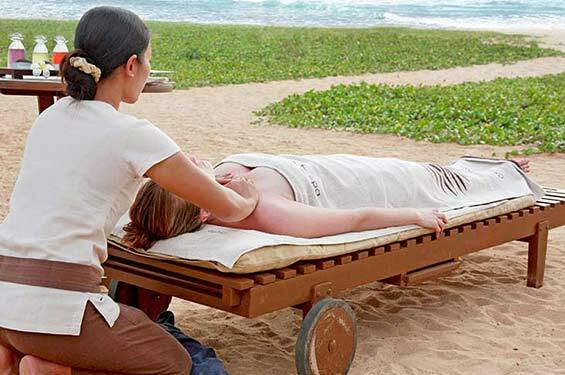 We have a range of truly rejuvenating packages to pick from at our Spa Resort in Sri Lanka. If you are ready for some truly wonderful pampering, our spa hotel in Ahungalla has the perfect array of beauty and body treatments for you – from refreshing facials, body scrubs and wraps to invigorating massages, for you and yours.